We love discussing engagement rings and wedding dresses, but if we’re being honest, they get all the attention. Earrings for brides, however, are an accessory that no walk down the aisle should go without. We know you’ve got your hands tied between planning everything from invitation designs to table settings, which can make it hard to keep up with the latest bridal earring trends. So we tapped jewelry designer Elisabeth Bell for her insight on what brides are wearing during this wedding season. “Sentiment and meaning are something to consider; everyone has their classics, but it is important to have something that feels unique to you on your special day,” Bell says. Bell noted that brides are shifting away from traditional white diamonds to alternatives such as emeralds. “Emerald is considered the stone of successful love,” she explains. According to the designer, she’s been doing a lot of redesigns for clients that have incorporated heirloom jewelry, which result in more contemporary pieces. Bell also noted a trend in opting for more modern designs such as hoops and earrings that you’ll want to wear to your nuptials and every day after. With these trends in mind, we rounded up our favorite earrings on the market for you to wear on your wedding day. 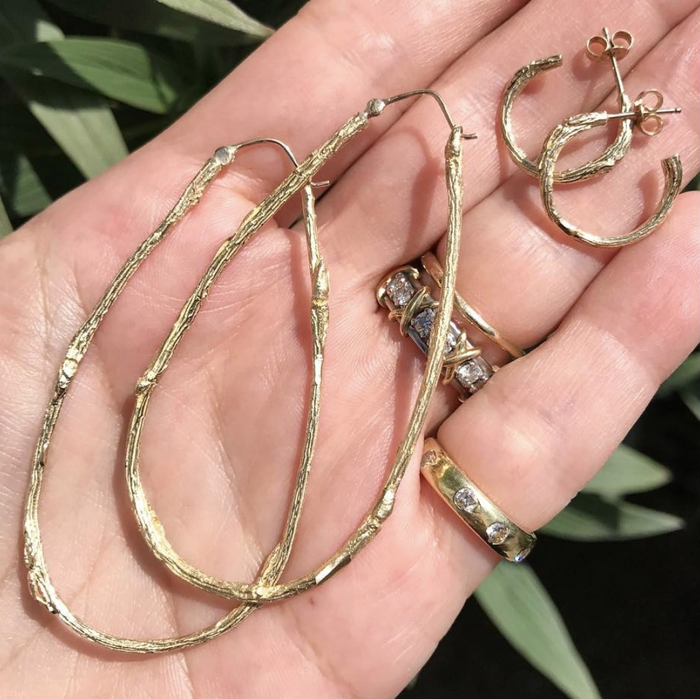 Whether you’re looking for a pair of simple hoops or want something bolder to match your personal style, these baubles will cause anyone to look twice. 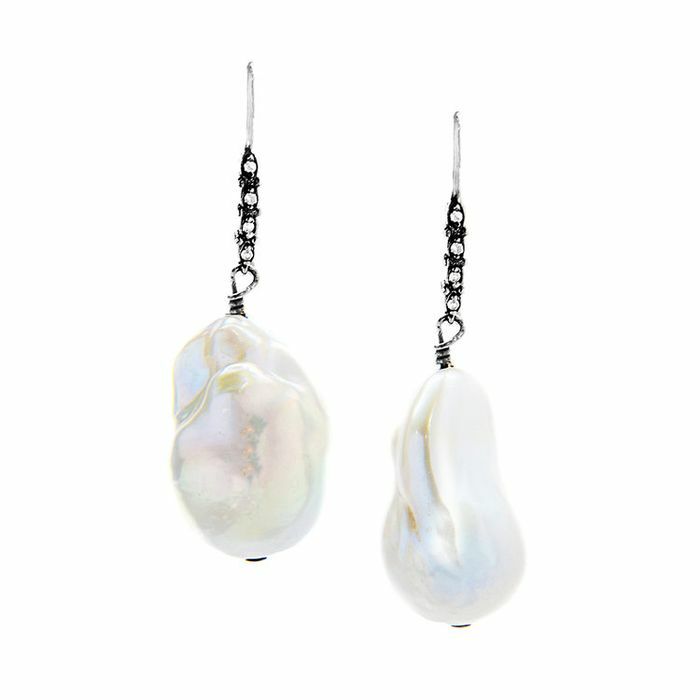 These pearl drop earrings are so gorgeous. You’ll get so many compliments on these earrings. Let these be your wedding pearls. A unique take on hoops. Simple hoops will never get dated. For the bride who doesn’t want standard hoops. Emeralds are a unique alternative to diamonds. You’ll want to wear these forever. Hit two trends in one with these emerald hoops. Who doesn’t love unique hoops? A modern update on the standard stud. These earrings have a vintage vibe we can’t ignore. These are not your average diamond studs. So simple and yet so elegant. Complement your bridal look with these hoops. When your big day comes and all eyes are on you, be sure to wear a pair of these earrings. After all, it’s your day.